Investors are used to struggling with the Traditional vs Roth retirement question - Do I take the tax savings now or will it be more advantageous to take it later? However, imagine a savings account that provides a tax deduction at the time of contribution, tax-deferred growth inside the account AND tax-free withdrawals. Actually, such an account does exist – the Health Savings Account (HSA). In fact, it’s the only long-term savings account that allows this trifecta of tax benefits. However, most people use HSAs inefficiently and therefore do not make the most of these valuable accounts. Before getting into the smart HSA strategy, it’s important to understand what an HSA is and how it works. 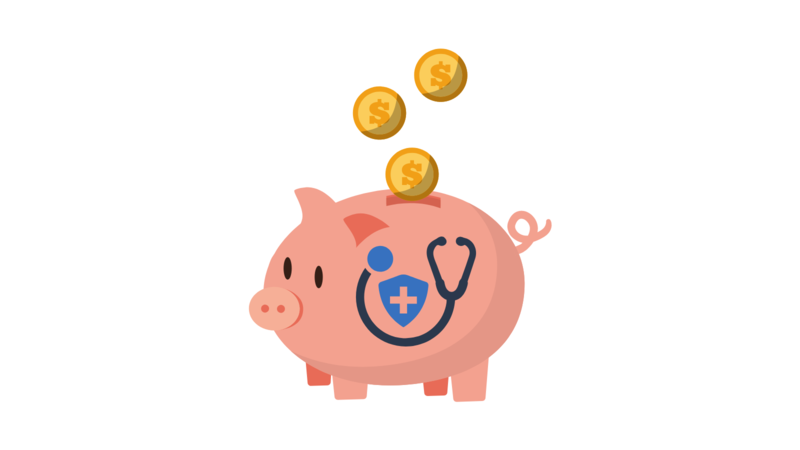 An HSA is a type of savings account that allows you to set aside money on a pre-tax basis to pay for current or future qualified medical expenses. It must be used in conjunction with a High Deductible Health Plan (HDHP). This type of health plan must satisfy certain IRS requirements regarding deductibles and out-of-pocket expenses. Generally you pay more up front for medical expenses before the plan begins to pay for covered services. In return, you will generally pay less in premiums than other medical plan options. The combination of an HSA and an HDHP can offer significant tax and savings advantages, potentially save you money on health care and give you more control over how your medical dollars are spent. Funds that you don’t use in any given year carry over and stay in the account growing tax-free with the option of investing in a wide array of investment options. Unlike the Flexible Savings Account (FSA), there is no “use it or lose it” provision. The account remains yours even if you change jobs, switch insurance providers or retire. Be covered under a HDHP as defined by the IRS. This can be purchased on your own or through your employer. If your employer offers an HSA, your contribution is typically taken out of your paycheck on a pre-tax basis like a 401(k). They may also kick in a contribution. If you have an HSA on your own, you still get the tax break. The contributions are considered an “above the line” deduction on your tax return meaning you don't have to itemize them on a tax return to claim the deduction. This could help you qualify for other deductions and credits. Also, unlike many other tax benefits, the HSA does not phase out at certain income levels and in no way prohibits you from contributing to other retirement accounts. How can HSA funds be used? You can access your HSA tax-free and penalty-free to pay for qualified medical expenses at any time, including after you retire, stop making contributions or become ineligible to receive contributions. The IRS determines the types of expenses that are qualified. They are listed in IRS Publication 502. The list is extensive and includes health plan deductibles and coinsurance, most medical, dental, vision and chiropractic services and Medicare premiums (if age 65 or older). You can take distributions to pay for your spouse’s or dependents’ medical expenses as well as your own. This is true even if your spouse or dependent has their own medical insurance that is not HSA-eligible. Moreover, you can take distributions in the current year to reimburse yourself for medical expenses in a previous year, as long as the expenses were incurred after your HSA was established. There is no deadline for making withdrawals. If you use HSA funds for non-qualified medical expenses, you will have to pay regular income tax plus a 20% penalty. However, once you reach age 65 or become disabled, distributions are no longer subject to the penalty. In that way, it’s similar to a traditional 401(k) but with the added benefit of tax-free qualified medical expense withdrawals and without the requirement of required distributions that kick in at age 70 1/2. What happens at the death of an HSA owner? Tax treatment depends on who you designated to inherit the HSA. If it’s your spouse, the account becomes his or her HSA. If it passes to anyone other than your spouse, the account ceases to be an HSA and the 20 percent penalty no longer applies. However, the funds in the account become taxable income for the beneficiary or your estate. If you incurred qualifying medical expenses before death, the beneficiary or estate does not have to pay income taxes on the amount of those expenses as long as they are paid within a year of death. 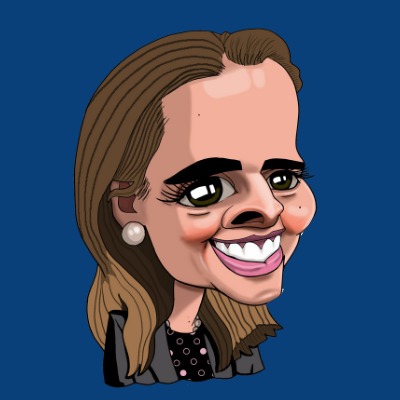 What is the smart HSA strategy? The tax benefits of an HSA make a powerful case for using one. However, according to a recent report by Devenir Research, most people under-utilize these accounts. For every ten dollars contributed in an HSA, about seven are withdrawn in the same year. Also, less than 16 percent of HSA assets are held in accounts where they can be invested for growth. Instead, almost 85 percent of assets are held in HSA bank accounts which pay little to no interest. Using this process, you will lose out on the opportunity of tax-deferred growth and potentially larger tax-free distributions in retirement. To gain the maximum benefit from an HSA, people should rethink how they view and use these accounts. Instead of seeing your HSA as a go-to fund for immediate medical needs, you should view it as an additional form of retirement savings. Simply put, the smart strategy is to finance the account in a growth vehicle as early and as much as possible but then avoid tapping it until retirement. Obviously you need to have the financial means to not only maximize contributions, but also have additional funds to cover health care costs in the meantime. What is the potential burden of health care expenses in retirement? According to a recent study done by Fidelity, a 65-year old couple can expect to spend approximately $245,000. Obviously saving for health care should be an important part of retirement planning. 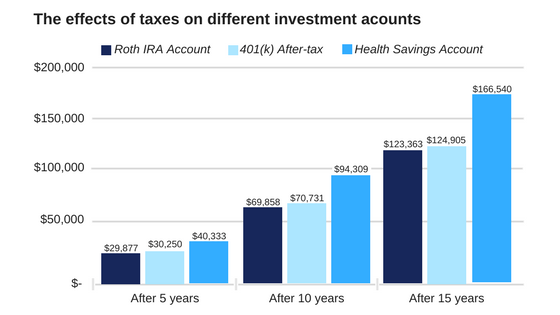 The above chart illustrates how saving in an HSA can accumulate over time. It assumes $5,000 in annual after-tax contributions to a Roth IRA, a $6,750 annual contribution to a 401(k) with a 25% tax on distributions, and a $6,750 annual contribution to an HSA with no tax on distributions for qualified health care costs. Each account assumes an annual growth rate of 6%. After 15 years the amount available for health care costs from the HSA is 33% larger than the 401(k) and 35% larger than the Roth IRA due to its triple tax advantage. If you're eligible for an HSA, or have one already, ask yourself if you're taking full advantage of the opportunity. Thinking about future medical care costs isn't fun, but preparing ahead of time makes any challenge more manageable. Editor's Note: The post was originally published in January 2018 and has been updated to represent 2019's rules, regulations, and statistics.